Almost three years ago I had an idea for a book. I’d been thinking about writing a book for many years but no idea seemed like the right one. Then I realized there were two words I said over and over again when working with families. What should I do when my kid gets up out of time out? Ignore it! What should I do when my teen curses at me? Ignore it! How can I get my toddler to stop throwing food? Ignore it! What can I do get my son to stop making annoying noises? The advice I was repeatedly giving was to ignore all of the annoying and undesirable behaviors children present on a regular basis. I know about a concept in psychology called extinction which states that behavior that isn’t reinforced disappears. So when parents stop providing attention or benefits for a particular behavior is just goes away. It’s a really simple but powerful parenting tool. But as simple as it seems I knew from experience that many parents struggled with implementation. So that’s where Ignore It! comes in. 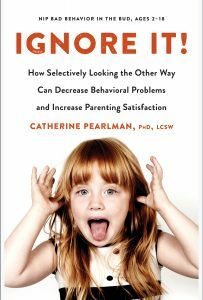 The book helps parents know what to ignore, how to ignore and when never to ignore behavior. It also provides general parenting tips about dealing with time outs, parenting in public, and how to enforce logical practical consequences when ignoring isn’t appropriate. I also included loads of scenarios from my practice to show how Ignore It! changes behavior and helps parents enjoy their kids more. In just 70 days the book will be available for sale in bookstores and online. I’m so excited I can hardly sleep. In order to get the word out about the book I’m offering a great pre-order incentive. Order before 8/8/17, send me proof or post to Twitter or Facebook, and I’ll send you a bonus chapter I wrote but decided not to include in the book. The bonus chapter is all about how to resolve sleep issues. I’ll also include my Sleep Cheat Sheet that details sleep needs for newborns to teenagers. Thanks in advance for the support and I can’t wait to hear how the book is helping your family. 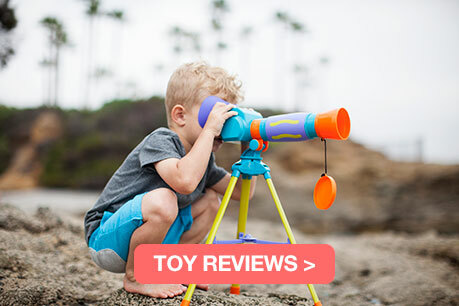 If you would like to get our newsletter with more promotions and parenting tips in your inbox sign up here.